Georgetown, Guyana, March 5, 2018: The promotion and development of STEM (Science, Technology, Engineering and Mathematics) in Guyana has been given a big boost by GTT's commitment to give G$18M to the Innov8 Initiative Fund. This announcement was made at the Innov8 Summit launch, GTT's technology Expo which will be hosted at the Marriott on March 24-27, the first and largest event of its kind in Guyana. GTT's CEO, Justin Nedd, said that GY $8M of the Innov8 Initiative Fund will be dedicated to STEM Guyana, in order to boost its continued work of training youth in coding and robotics. Under the initiative, several schools across Guyana will all benefit from free internet service provided by GTT. The first three schools are Lusignan, Sophia and Paradise Primaries. The Summit will have two events; the first titled Innov8 Expo, will be held on March 24 to 25 and the second, Innov8 Business Forum will be on March 27. The goal of both events is to showcase the diversity of technology and its impact on all spheres of life in Guyana. It is an opportunity to display the innovations and gadgets created by some of the best and brightest players in Guyana's technology arena. It will also feature international speakers from Google and other industry trailblazers. Additionally Innov8 Summit is an "open house" which will wow visitors as they experience all the innovation GTT has to offer. GTT will display technology possibilities available in the ways never seen before. Some exciting features that the Innov8 Expo visitors will experience are: hands-on- robotics, online gaming, a gaming tournament, animation, smart gadgets and a smart home. The Innov8 Business Forum on March 27 will feature GTT's newest enterprise solutions, host local and international Technology and Business Leaders while charting a path for the development of ICT in the business and finance arena. "GTT's ongoing investment in technology and leadership is instrumental in the development of the Guyanese ICT (Information, Communication and Technology) sector and has created a platform for innovators to power their innovations", said CEO Justin Nedd. 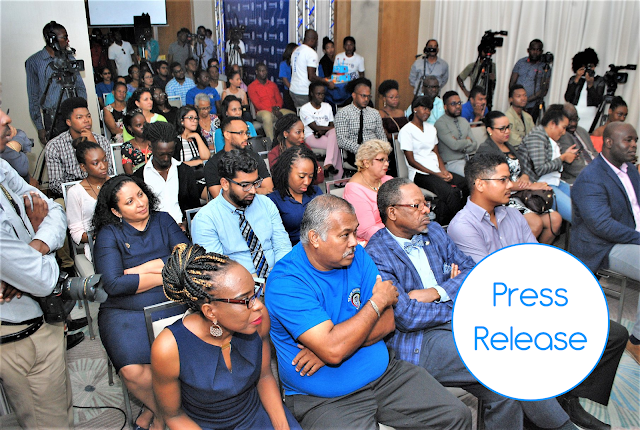 The event is free to the public and tickets are available on GTT's new paperless ticketing portal called GTT Tix To Go which was introduced to Guyana for the first time at the press conference. GTT strategic partners will have the opportunity to purchase exclusive booth spaces to showcase their products. Interested companies are encouraged to email innov8@gtt.co.gy for further details.